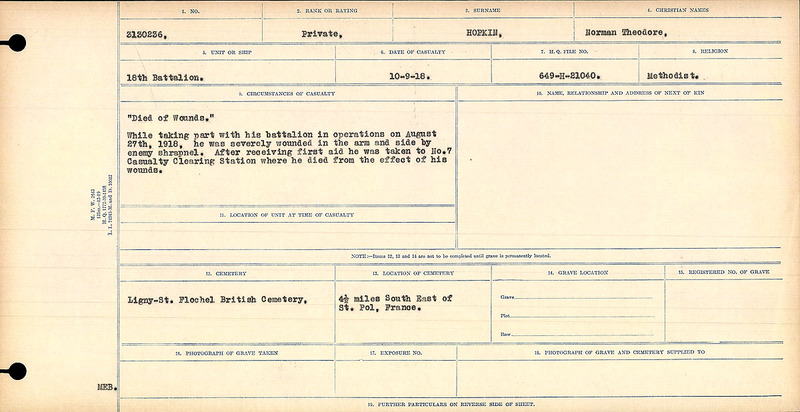 “Died of Wounds” While taking part with his battalion in operations on August 27th, 1918, he was severely wounded in the arm and side by enemy shrapnel. After receiving first aid he was taken to No. 7 Casualty Clearing Station where he died from the effect of his wounds.